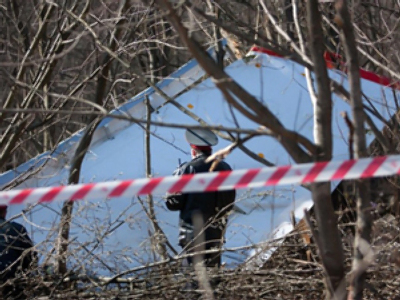 The Interstate Aviation Committee (IAC) has delivered its final report on the investigation of the plane crash last April, which killed Polish President Lech Kaczynski and 95 other people. The document is revealing previously unknown facts while shedding light on the accident and pointing to those responsible for the tragedy that shocked the world. At the official announcement of the report, Tatyana Anodina, the IAC representative, said that the preparations for the president’s flight involved grievous mistakes. “There were profound deficiencies in selecting and training the crew, assessing the readiness for the flight and determining alternative airports,” states the report. Further, when Lech Kaczynski’s plane took off from Warsaw, the crew did not have the actual weather forecast. Watch the simulation video, which shows minute by minute the chain of events which led to the tragic crash. “These reasons led to the plane striking obstacles and the ground in a human-directed flight, the demolition of the plane, and the death of the crew and passengers,” Tatyana Anodina says. The initial results of the investigation by IAC’s technical commission were published in May. According to Tatyana Anodina, the versions of terrorist action, blast, fire or failure of avionics during the flight have definitely been ruled out. “The engines were operating until the impact with the ground,” she added. It has also been confirmed that the airfield in Smolensk, Smolensk-Severny, and its equipment were suitable for accepting flights of all types of aircraft, including the Yakovlev-40 and Tupolev-154. The ground collision avoidance system was activated. It was fully operational, delivering all necessary information to the pilots. The GNSS navigation system was also in order and was also functioning. “The crew was receiving the information about the weather and reserve airports from flight controllers in Minsk and Smolensk-Severny in a timely fashion, as well as from the crew of Yak-40 of Polish Defense Ministry, which landed on the airfield approximately 1.5 hours before the crash,” Anodina said. It was also confirmed that people other than the crew were present in the cockpit. The investigation involved research institutes, industry and flight experts from Russia, Poland, the US and other countries. Edmund Klich, Poland’s authorized representative, together with numerous military and civilian advisers and experts from Poland took part in all principal stages of the investigation as provided by the ICAO standards, the IAC stated. The report includes the analysis of field investigation, flight data decoding, mathematical and computer simulation on a study model of the TU-154M plane, and other data on flight support and destination airfield facilities. 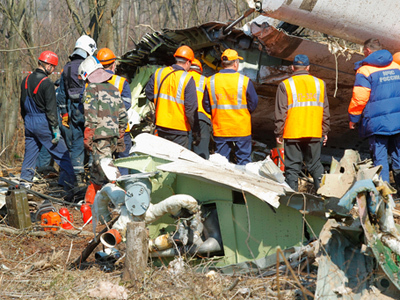 The committee has studied the aircraft wreckage and the remains of the flight and technical data. The flight crew’s and mission management team’s actions have also been evaluated. The IAC officially submitted the final report to the Polish representatives on Wednesday. Now the report will be translated into Polish and sent for study to Poland’s Interior Minister Jerzy Miller. Warsaw will accept the report only if their comments, drawn for the IAC’s draft report in 2010, have been taken into consideration. “The comments [to the initial report] by the Polish side were of a non-technical nature and were aimed at finding the guilty party, which is beyond the competence of the Technical Commission of the IAC ,” the Head of IAC’s Technical Commission Aleksey Morozov said Wednesday, while delivering the report on the final results of the investigation. He also pointed out that the original document with the comments from the Polish side was presented to the IAC on December 17, 2010 in Polish, whereas the official languages of the International Aviation Committee are English and Russian. According to Morozov, a Russian translation was also provided, yet it contained a remark that the Polish version is the original. Many in Poland, however, responded angrily to the report’s findings, suggesting that air traffic controllers should have warned the aircraft crew to stop its descent, given the harsh weather conditions. But Russian Foreign Ministry officials and aviation experts responded with arguments that air traffic controllers lack the authority to overrule a pilot’s decision to land. ­“Controllers do not have the right to refuse pilots something they want to attempt. They can only advise them, they cannot refuse them. So it is actually a misleading statement and in many parts of the world it is actually wrong,” David Learmont, operations and safety editor from Flightglobal magazine, also pointed out. Poland’s authorized representative Edmund Klich suggested that the greater fault lay with the Polish party, as besides this fatal permission there were 11 other major reasons for the crash. “It’s appalling that so many faults and violations of rules were made when organizing and making the flight,” he said in an interview with Rzeczpospolita newspaper published in December 2010. An aviation security expert, Chris Yates, believes the pilots had all the necessary information before making the decision to land. “There is one important line in the transcript of the conversations between pilots and ground during the final approach of the aircraft to the airport. And that is “There is no condition for landing at this airport” or “No condition for landing”. That quite simply means that there is no visibility, there is no appreciable visibility to see what’s going on on the runway at the time you are coming in to land,” he said. David Learmount, Operations and Safety Editor from Flight Global Magazine, calls this type of accident traditional. Pondering how else the Russian controllers could have helped the Polish crew, he admits that there was no way to assist the pilots. “To be honest I don’t think there is anything more that the Russian controllers or the Russian organizers of this event could have done. One of the things that the Russian controllers at Smolensk [Airport] would have liked to have done was to offer more assistance to the pilots during their descent, but the pilots never asked for that assistance. 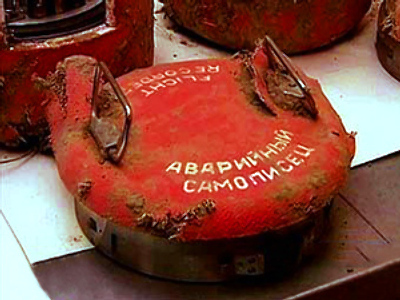 And the Russian controllers assumed – quite correctly as it turned out – that the Polish crew was carrying out the descent using their own on-board navigation aids and they did not make use of all facilities on the ground. This is what I mean about this flight not having been very professionally conducted,” Learmount says. ­Former Polish Air Force pilot Michal Fiszer believes the pilots’ lack of life experience and being overly-ambitious were the main reason for the accident. Russia's Foreign Minister has defended the integrity of the report, saying it is in keeping with international law. 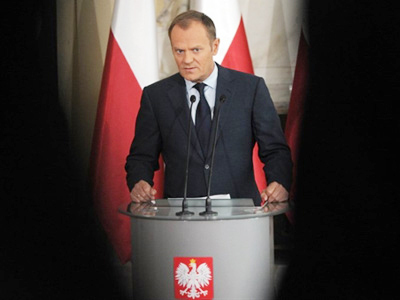 ­Polish PM Donald Tusk was careful to avoid fully accepting the report’s conclusions, instead he pressed to find “common ground” on the issue. Reinhard Krumm, head of the Friedrich-Ebert Foundation, says the fact that Poland has shown willingness to accept the report’s conclusions shows that it is keen to keep its relations with Russia. ­As requested by Poland, the comments made by Warsaw to the draft report in 2010 will be published in full as an integral part of the IAC’s final report. The committee has made 25 amendments to the documents in accordance with these comments. Deficiencies in technical information have been improved upon and several clarifications have been added. Russia earlier handed Poland recordings of the flight recorders and other documents related to the investigation of the tragedy. Based on these data, Polish experts concluded that the aircraft was in order and had enough fuel. Apart from the IAC’s investigation, both Warsaw and Moscow have launched their own independent investigations as criminal cases. 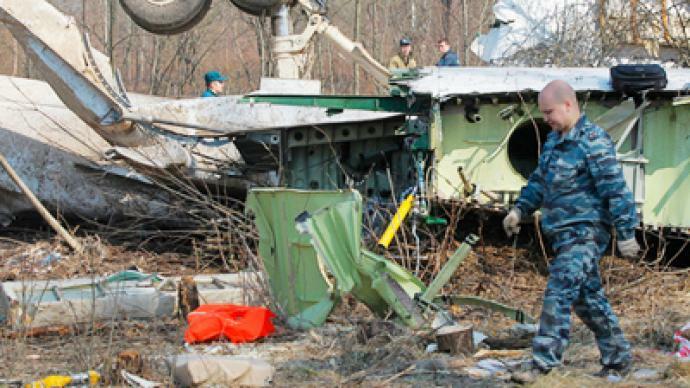 At present, Russian prosecutors intend to interview witnesses of the crash in the presence of their Polish counterparts as requested, spokesman for the Russian Investigative Committee Vladimir Markin told Interfax on Wednesday. Meanwhile, Poland is still to provide information on the telephone communications between Polish officials prior to the crash, which had earlier been requested by the Russian investigation.